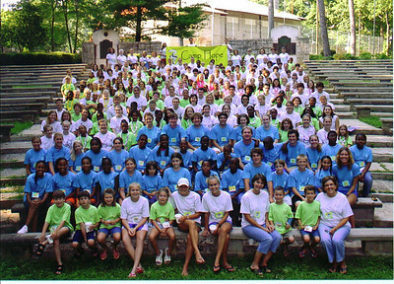 Our ministry began in 1999 when our founder, Reverend Dr. Diane Parrish, had the vision to discover a new and exciting way to serve the families of the 56,000 men and women incarcerated in Georgia prisons. 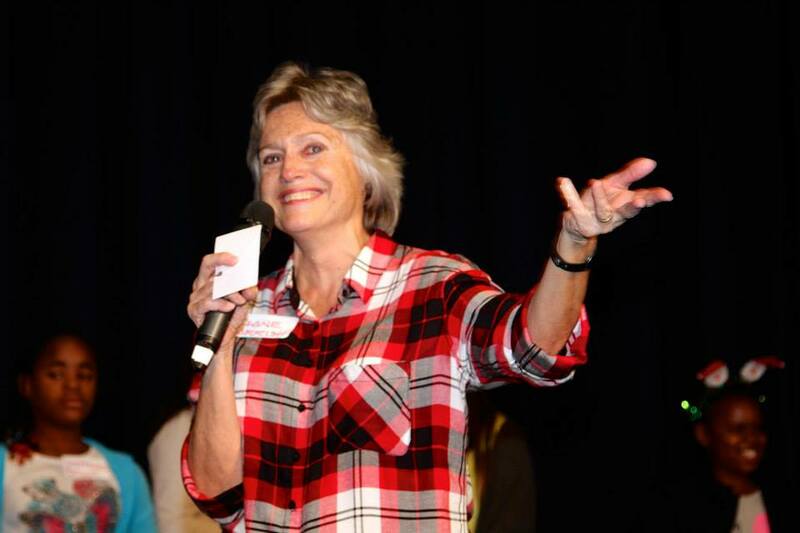 Diane tells a story of one weekend when she met three generations of women, all in prison and all from the same family – the grandmother at Washington State Prison, daughter at Pulaski State Prison and the granddaughter at Macon Youth Detention Center. 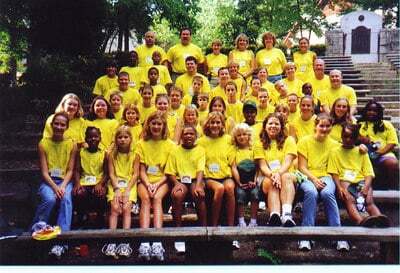 Diane began thinking of the children of the inmates she would visit and the lives these children lead. 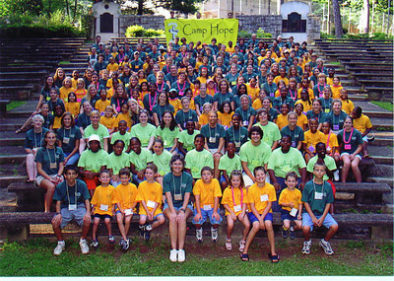 Government statistics showed that up to 70% of inmates’ children would one day themselves become incarcerated. 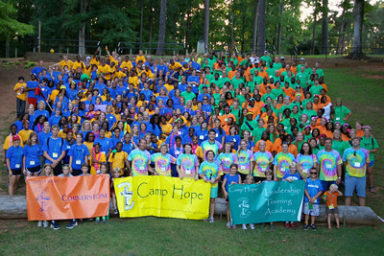 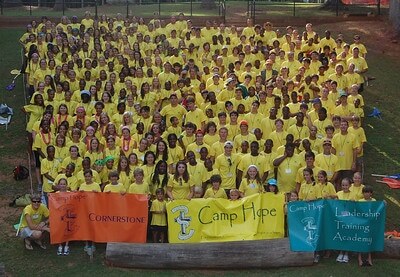 Noting that inmates’ children are one of the most overlooked groups in North America, she founded Camp Hope, a one-week overnight summer camp, to serve this population in the metro-Atlanta area. 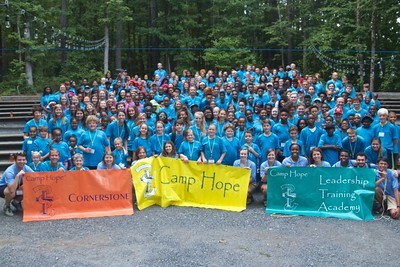 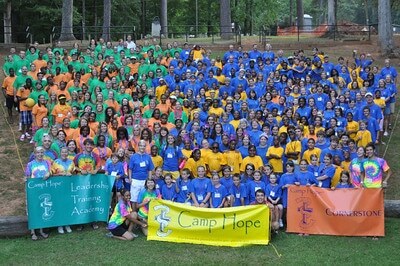 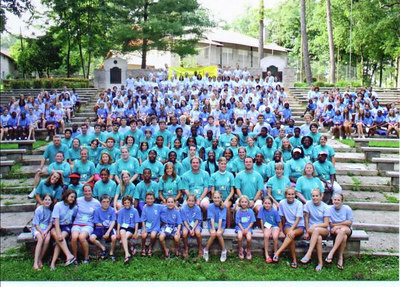 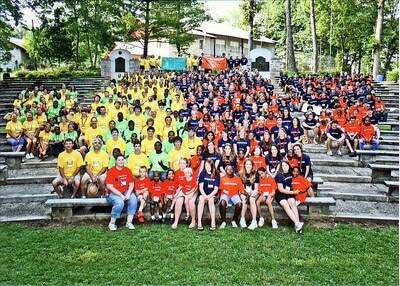 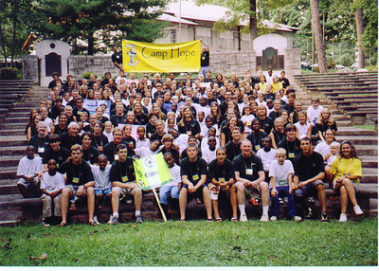 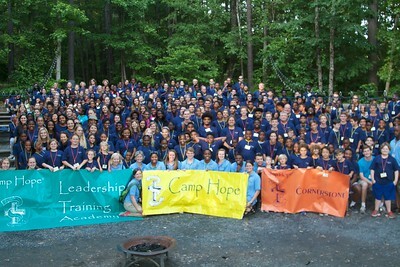 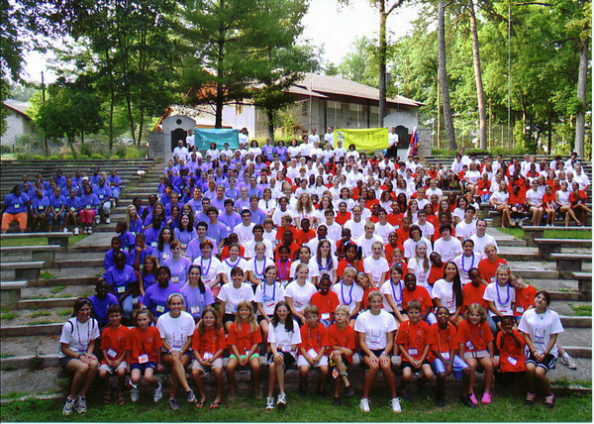 Camp Hope held its first summer camp in 2000 with only 13 campers, pictured above. 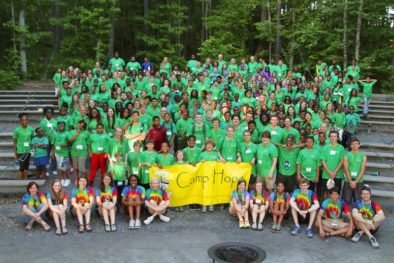 As the campers grew in age, so did the camp and its programming. 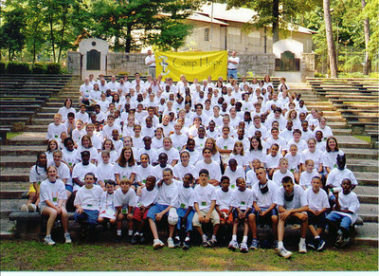 The organization has expanded to offer year-round programming under the name of Kidz2Leaders. 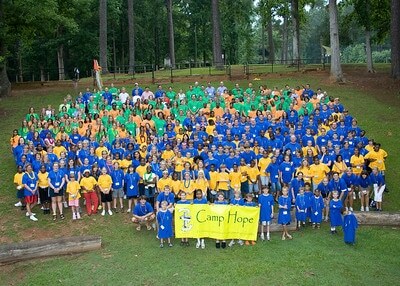 Camp Hope still serves as the entry point into these children’s lives. 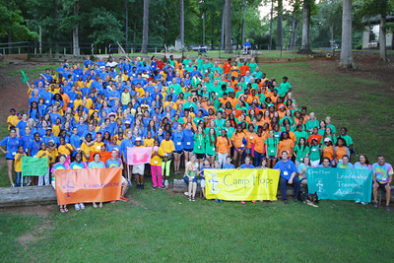 Through four program platforms, a decade of programming is now offered to all participating students. 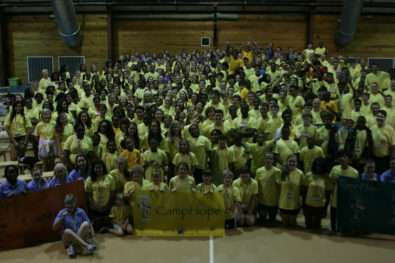 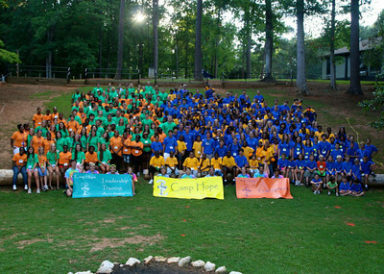 To date, the program has served over 1,200 campers, siblings, parents, guardians, and relatives.